A pair of rabbits frolic in the grass. 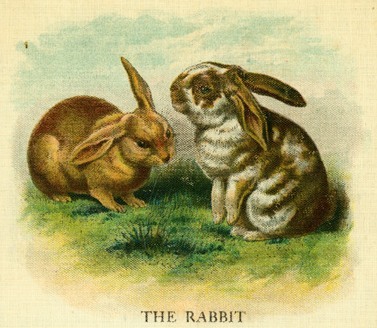 This vintage colored drawing of rabbits would make a charming addition to your next creative project. Reusable Art is happy to share this animal from Animal Pictures and Stories. It is a shame that McLoughlin Bros. Publishing did not identify any of the creative folks involved in making this book from 1880.